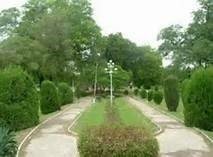 Jinnah Garden, also known as Company Baagh, is the beautiful park, located at the distance of 2 km from Faisalabad Railway Station via Mall Road, turn right on Club Road after The Chenab Club. It is an very old park in Faisalabad. It has a baradari with full of natural beauty full of colorful flowers and green and shady trees. It is the best for one-day spending with comfortable and relaxation. CSD Park is a beautiful park for one-day picnic and located at Sarwar Road at the distance of 4 km from Multan Railway Station via Sher Shah Road and turns right for park after Multan Cantonment. It is the famous park in town where tourists can spend their time for a day. CSD Park is full of beautiful plants with colorful flowers and shady trees. Shakaparian Hills is also a beautiful and charming place in Islamabad at the distance of 5 km from Zero Point Islamabad in the Photohar range. There is a hill and park, at the Shakarparian Hills, one can have a bird eyeview of the both cities Islamabad and Rawalpindi. It is the best location for a day relaxation with family or friends. It is located on Pir Sohawa Road just near Margalla Ave at the foot of the Margalla Hills. It has a beautiful collection of models of dino family to educate children. Jallo Forest Park is forest reserve area in Lahore and ideal location for one day picnic point at the distance of 25 km from Lahore Railway Station. It is number of playing grounds with lush green grass, plants of beautiful colors around them, and vast number of plants in forest reserves. There are also number of huts within the dense forest to enjoy the natural view of forest. Iqbal Park, also known as Minto Park, is located beside minar-e-Pakistan, on G. T. Road, Badami Bagh, Lahore. Park has number of attractions for visitors such as rides, swings, train, etc. Minar-e-Pakistan was constructed in the memory of resolution of Pakistan on the day of 23rd March, 1940, that was the first call for the independence of separate country, Pakistan, for the Muslims of India.